The native olive oil specially Son Moragues, from the Mallorquina olive, from ecological cultivation is a limited edition to the memory of the 100th day of death of the archduke Ludwig Salvator from austria, who introduced the olive oil Son Moragues in 1888 on the world exhibition in Barcelona and received for this special recognition. In clarify very much, rustic glass bottle from the local glass blowing this olive oil, won from the olive places "Mallorquina" presents itself. A gentle, green olive oil from ecological cultivation with fruity, well-balanced taste, in the palate persistent with a breath of grass and almonds. 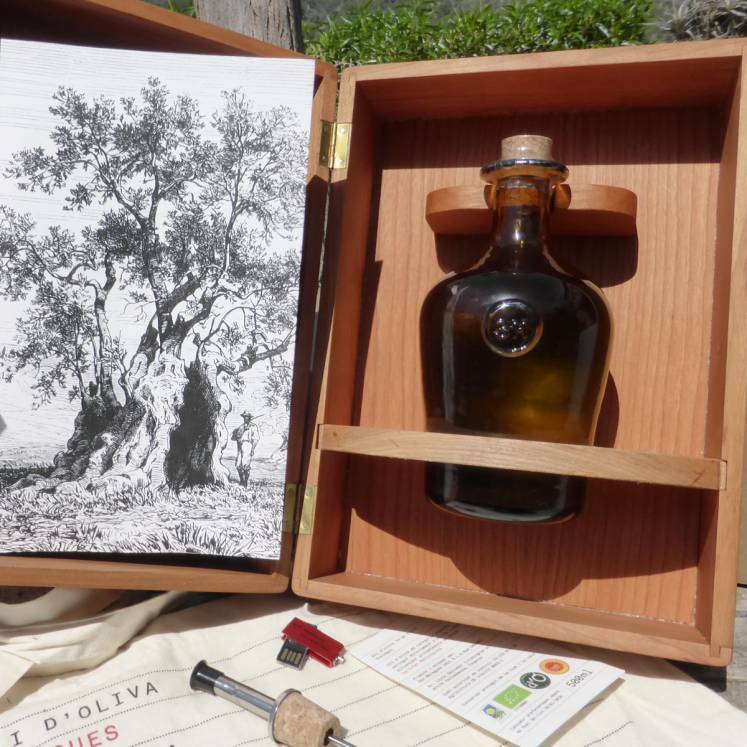 In clarify very much, hand-worked wooden box are a bottle of the olive oil, a sink article and an attractive pamphlet with detailed information.